Update: LG has officially launched the G4 smartphone in India, today. The smartphone has been priced at Rs 51,000. 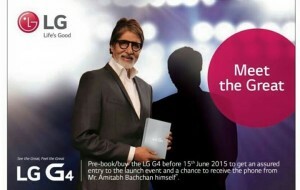 Some lucky buyers will also get the chance to meet Bollywood’s Superstar Mr. Amitabh Bachchan. 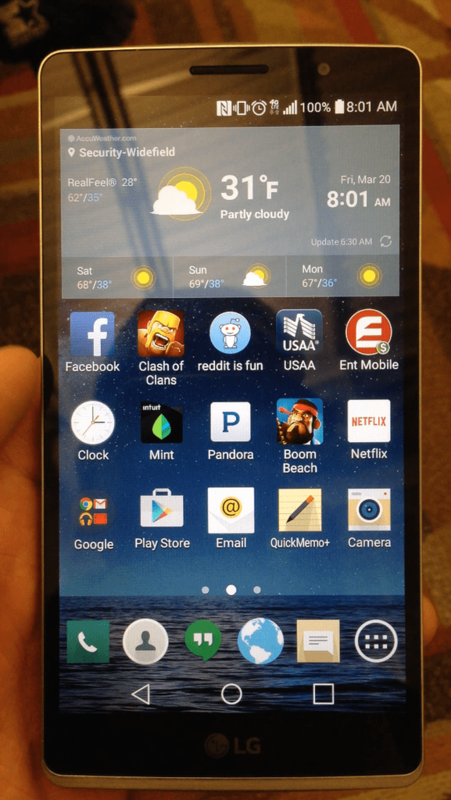 The LG G4 features 5.5-inch QHD display. It runs on a Qualcomm Snapdragon 808 processor coupled with 3GB RAM. The smartphone has 32GB memory with microSD support for added storage. It comes with a 16-megapixel primary camera and an 8-megapixel front camera. The phone also has a removable 3000 mAh battery. 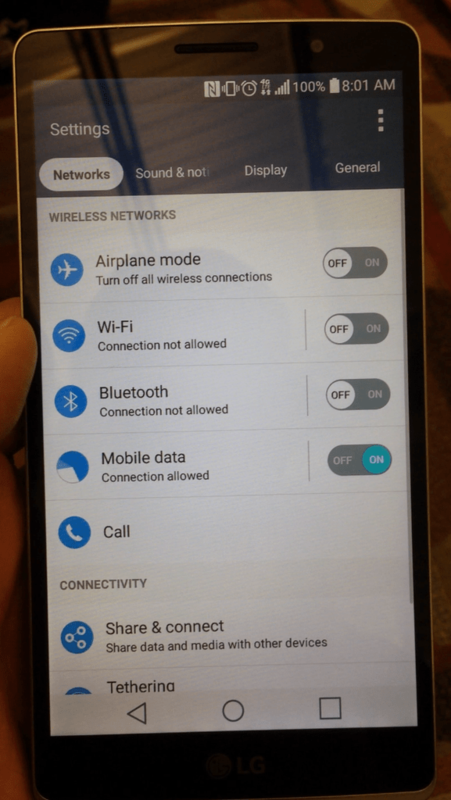 The LG G4 runs on Android 5.0 Lollipop. The LG G4 is apparently marginally larger and heavier than its predecessor, at 5.9 x 3 x 0.4 inches (149.86 x 76.2 x 10.16mm) and 5.5 ounces (156g), and it’s LTE-A capable, as well as supports wireless charging, quick charging (when plugged in), Wi-Fi, Bluetooth 4.0 and NFC. 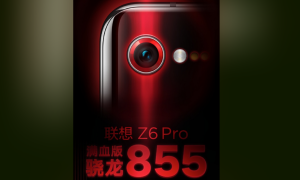 On the camera front, it has a f/1.8 16MP rear camera and an 8MP front-facing camera. The camera app comes with a lot of advanced features including high ISO settings, live histogram and manual shutter speed, and is capable of recording RAW images. The G4 can shoot panoramas up to a 104MP, compared to the Galaxy S6 which is capped at 60MP. 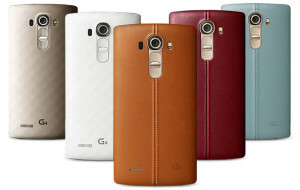 LG has also announced six leather options along with three traditional plastic back covers. The leather covers are “high grade” that take 12 weeks to manufacture. The plastic covers come in three colors: black, white, and gold. The leather and the slight curved display make for an elegant and beautiful device. LG India has confirmed that the LG G4 phone will launch in the India on June 19th. The launch event will happen in Mumbai. LG India confirmed this via an advertisement in the newspaper, along with confirming that the handset will offer two SIM card slots. LG G4 is already up for pre-booking in India via the company’s own website. Consumers who pre-order the smartphone before June 15 will have a chance to receive the device from Bollywood superstar Amitabh Bachchan. LG also lists out a few assured gifts which include a LG G4 Metallic Finish Back Cover worth Rs 2,000 inside the box; free one time screen replacement worth Rs. 6,500, and free extra battery with charging cradle worth Rs. 3,500. LG G4 is available to pre-book in India. The users who are willing to pre-book, need to pay full amount of the handset. 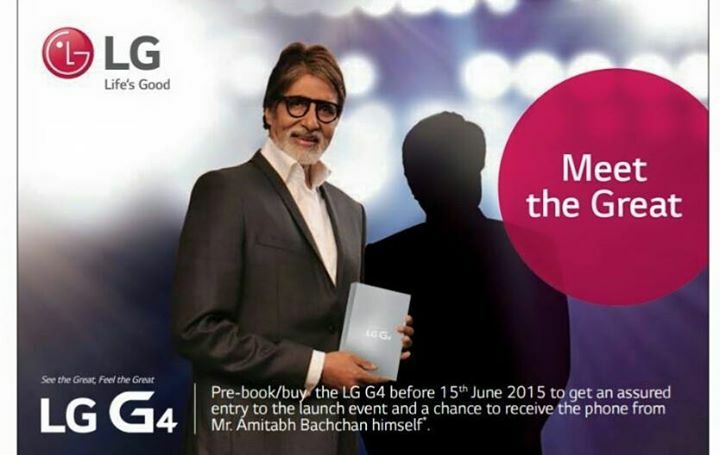 Some lucky buyers will get an exclusive entry for the launch event and chance to get their LG G4 directly from the Bollywood’s Superstar Mr. Amitabh Bachchan. 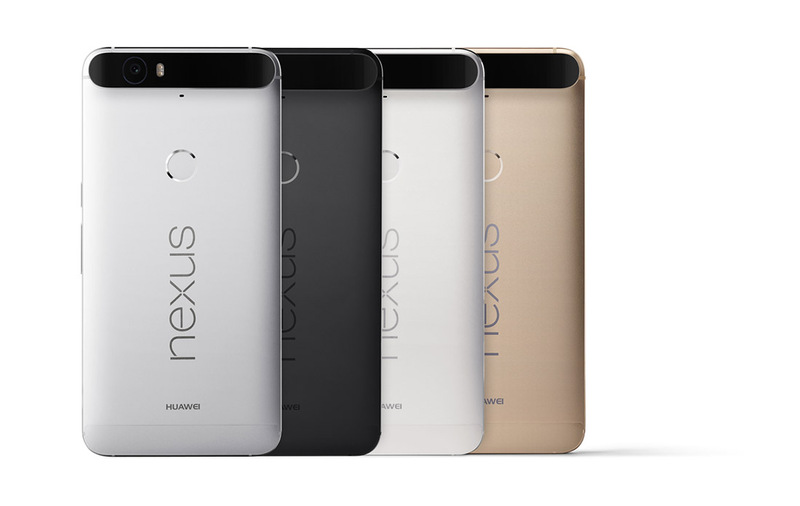 A third-party online retailer has listed the phone for pre-orders at Rs. 49,999. LG is also offering smart benefits worth of Rs 12000 along with this, that includes Free LG G4 Metallic Finish Back Cover worth Rs.2000 (inside box), Free One-Time Screen Replacement worth Rs.6500 and Free Extra Battery with Charging Cradle worth Rs. 3500. LG now launched the dual SIM variant of its latest flagship LG G4 in selected countries including Hong Kong, Thailand, Saudi Arabia and Ukraine. The dual SIM LG G4 comes with two variants; 3G enabled devices had the model number H818P, where the 4G LTE supported device had the model number H818N. Except from the dual SIM option, all the other specification remain same. As per the listing on the official LG website of the above mentioned countries, the 4G LTE variant of dual SIM LG G4 is priced at HKD 5,700 (approx RS. 46,700) in Hong Kong and the 3G dual SIM variant is priced at SAR 2,500 (Rs. 42,300) in Saudi Arabia, and in Thailand at THB 21,900 (approx Rs.41,700). In Ukraine, the 3G dual SIM device is listed but the pricing hasn’t been mentioned. For the other countries, there is no information about the launch date or pricing. Once there is any information from the trusted sources we will update this article. LG has announced that the LG G4 will begin shipping this week. The rollout will begin in Hong Kong, followed by releases in Turkey, Russia, and Singapore. LG says that there are around 180 carriers and retailers that plan to offer the G4 and that eventually the device will be available in “most of Europe, North America, CIS, Southeast Asia, Middle East/Africa, and South/Central America. LG has also confirmed that the G4 will launch on AT&T, Sprint, T-Mobile, U.S. Cellular, and Verizon, but so far all we know is that Sprint and U.S. Cellular will begin sales in June. LG has officially unveiled the G4 smartphone, today. The LG G4 comes with a 5.5-inch Quad HD display. The IPS Quantum Display is very energy efficient and easily visible in sunlight. It uses a technology called “Quantum Dot,” which combines colors to make more accurate colors. The new display boasts 20% wider color reproduction, 25% improvement in brightness and 50% higher contrast than the G3 as claimed by LG. It is powered by a six-core Snapdragon 808 processor coupled with 3GB of RAM. 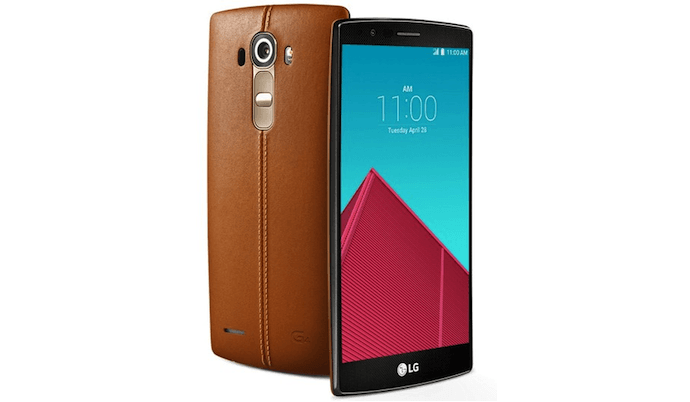 The LG G4 runs on Android 5.1 and comes with 32GB of built-in storage and a microSD card slot. G4 buyers will also get 100GB of free Google Drive storage. The G4 comes with a 3000mAh battery rated for 440 hours of standby or 14 hours of talk time. 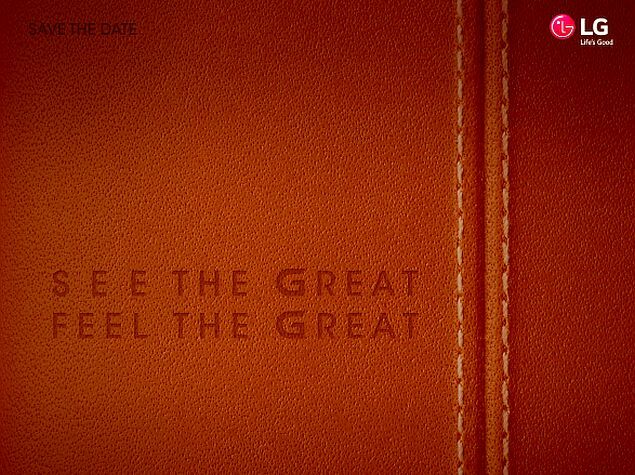 LG has released a teaser video of the upcoming LG G4 event on April 28. The teaser revealed that the LG G4 is having a camera with an F1.8 aperture. No other specific details on pixel count or other specifics of the imaging tech are out yet.According to a last benchmark result that have appeared on internet, G4 is expected to feature a 16MP camera. 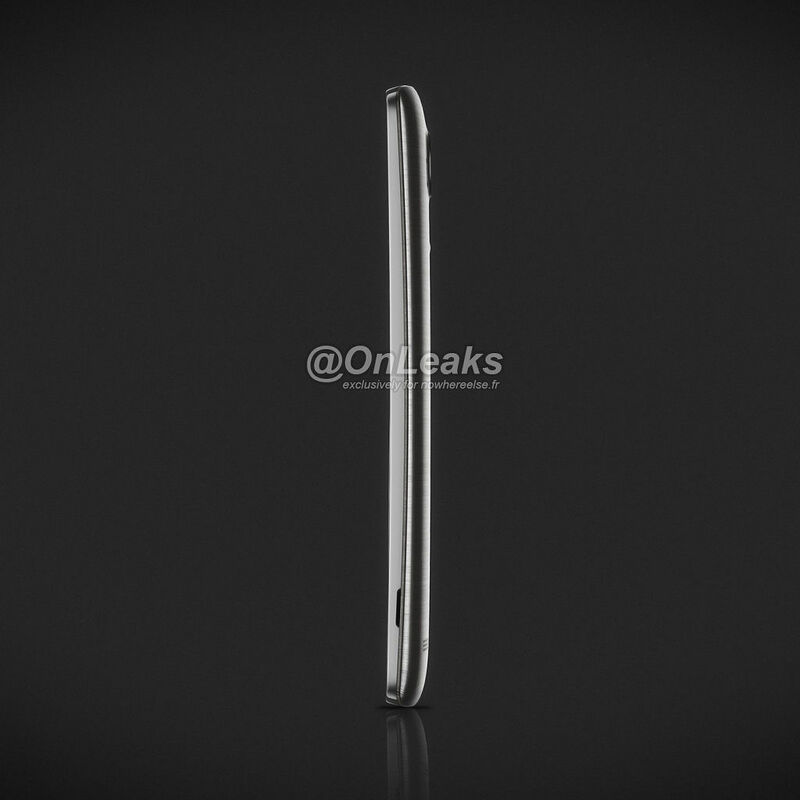 The teaser also briefly shows the of the G4’s rounded camera module. Earlier: LG has started sending press invites for an event scheduled for April 28 where the company is expected to launch its flagship smartphone, the LG G4. The event will take place in New York, London, and Paris on April 28 followed by an April 29 launch in Seoul, Singapore, and Istanbul. 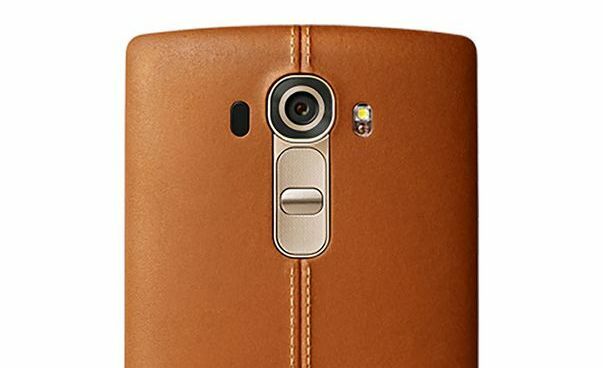 The official invite hints that the upcoming LG G4 will feature leather in its build. The invite says, “See the great, feel the great,”. Earlier today, the LG G4 was spotted in the GFX Benchmark database, revealing its specs.The GFXBench results show that the LG G4 (F500x) will be powered by a hexa-core 64-bit Snapdragon 808 processor. 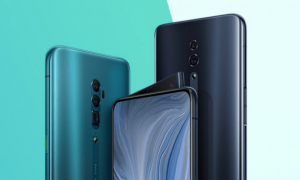 The other specs include a 5.5-inch QHD display(1440×2560 pixels),3GB of RAM,32GB inbuilt storage, a 16-megapixel rear camera, and an 8-megapixel front camera. 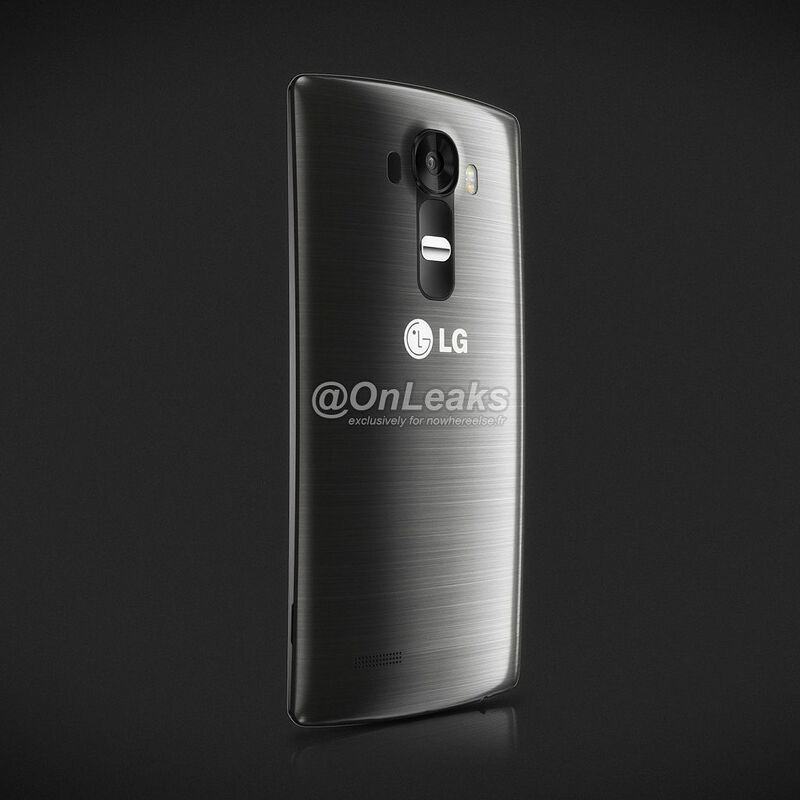 The alleged images of LG’s yet-to-be-released G4 have been in the news for quite a while now. 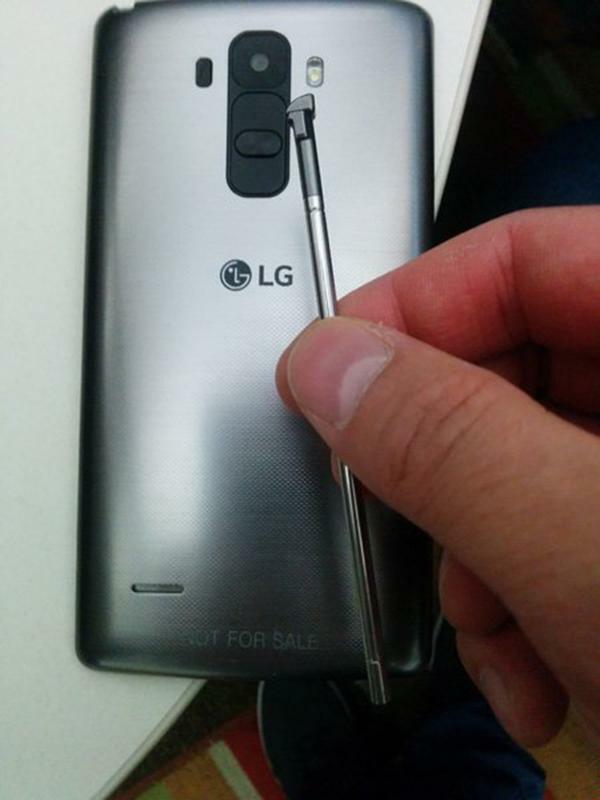 Earlier today, the images showing the LG G4 Stylus of the LG G4 has been leaked online. The rumoured specs of the LG G4 include the 5-inch QHD display with (2,560×1,440) resolution and will sport a “curved touch”. 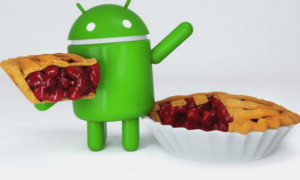 The device will run on the latest Android 5.0 OS and will support 4G LTE. Some of the other LG G4 specs that are rumored include a Qualcomm Snapdragon 810 processor and a 16-megapixel camera. 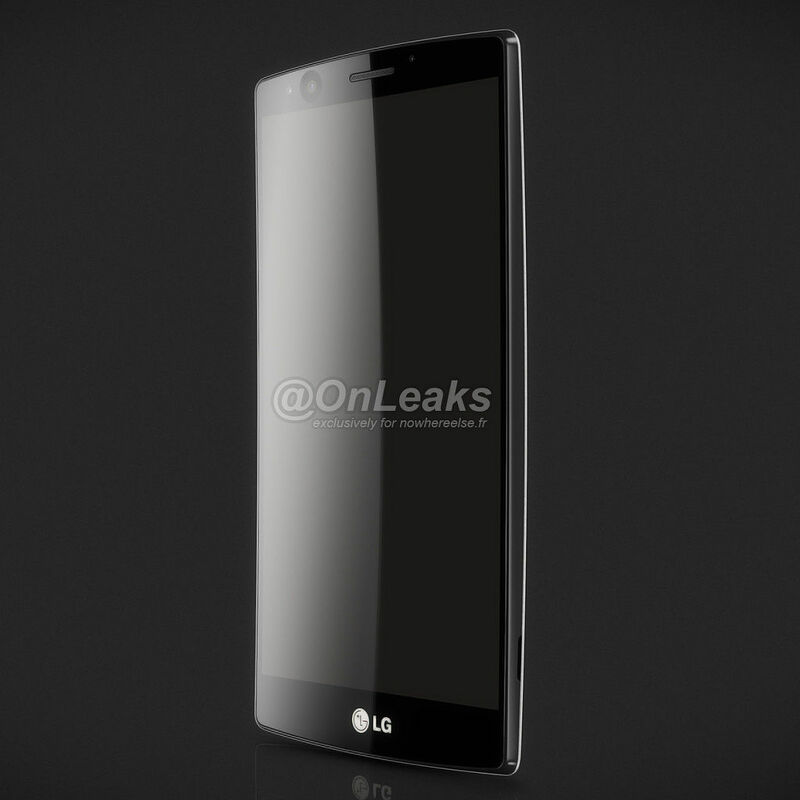 Alleged Images of LG’s upcoming flagship smartphone LG G4 leaked Again. 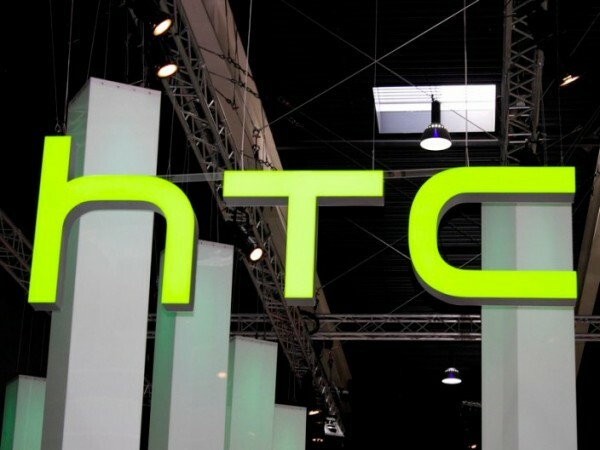 This time, the images were posted by T-Mobile employee and XDA user s3rv1cet3ch. LG CEO Cho has been quoted as saying at a press meeting that the company would unveil the next flagship smartphone, G4, in the second quarter and another high-end product in the second half. With the second quarter now just days away we could finally have a few hints of what to expect. If the images are indeed of the G4 Note they confirm several rumors we have been seeing and can now confirm, they show a sleek metal body, a stylus. 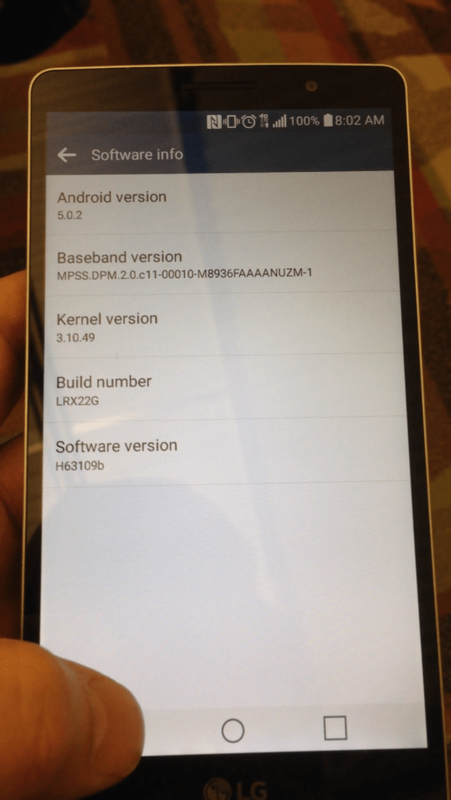 The G4 software info page says the device is running Android 5.0.2 with build number LRX22G. Rumors have been surfacing recently stating that LG will be using aluminium bodies in future iterations of their devices. Other rumors that the device will feature a stylus that appeared following LG filing for an ‘LG G-Pen’ back in December have also been confirmed here. Earlier: Some more alleged press renders of the LG G4 has appeared online. The new images show the front, back and sides of the device. The front of the device features the front facing camera, the earpiece and sensors. The LG branding and logo also appear on the bottom. The sides of the device show a curved rear. 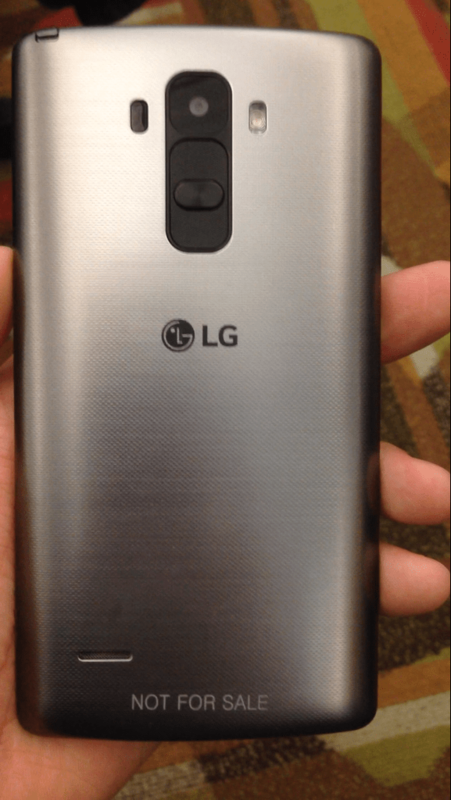 The back of the device features the same aesthetic design of the LG G3, with a more protruding camera and dual LED flash setup along with laser autofocus. @OnLeaks also claims that the LG G4 would measure approximately 148.9mm height x 76.5mm width x 9.9mm thickness against the LG G3’s 146.3mm height x 74.6mm width x 8.9mm thickness. According to a newly emerged report, the LG G4 will not be unveiled at MWC. The report cited an unnamed LG executive who said that the LG G3 was released in May and that there are no plans to launch the sequel earlier than that. The LG G4 could be released in May, and until then the Korean tech giant will keep working on the phone. But apparently LG will not skip MWC 2015 entirely. The company will supposedly be present at the conference, where it will unveil new wearables and various other IoT gadgets. It plans to unveil a smartwatch equipped with its webOS smart TV platform. According to the latest rumours, LG G4 will feature Quad HD screen (like on the LG G3, but with a slightly smaller screen size, in the neighbourhood of 5.3 inches), and a Qualcomm Snapdragon 810 processor (like on the G Flex 2), alongside a spec bump for the camera, moving up from the 13MP system on the G3 to a possible 16MP unit. According to the latest rumours, LG G4 is expected to compete with the Samsung Galaxy Note 4 in the sense that it will feature stylus capabilities. In fact not too long ago LG had filed for a trademark for the “LG G Pen” which seems to hint that it could either be a stylus accessory or a device with a stylus accessory. Sources in Asia are saying that the LG G4 will adopt a phablet format and also include a stylus in the mix. We advise caution, as the source does mention a series of product names, so this model they detail may, in fact, be a new LG G Pro or maybe a brand new LG G Stylus. We could see a G Pen mechanism in the mix and over the past years LG has been perfecting its gesture input, so it could amount to new control mechanics. 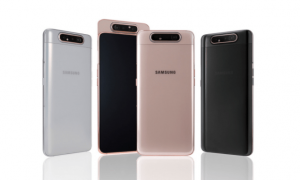 The documents that appeared so far describe this newcomer as a big screen phone tailored to match the iPhone 6 Plus and Galaxy Note 4. 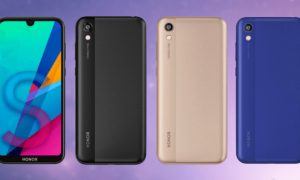 It’s expected to have a 5.3 inch screen, with a Quad HD resolution, an ultra-narrow frame design and a Snapdragon 810 64 bit processor, as well as 32 or 64 GB of storage. The newcomer may also provide 4 GB of RAM and a 20.7 megapixel camera, as well as a 3500 mAh battery. It won’t be the first device with a stylus released by LG. LG has a stylus phone of its own in the form of the LG G3 Stylus, it isn’t as prominent. The LG G3 was released towards the middle of this year, so we can only assume that the LG G4 will follow a similar release date.